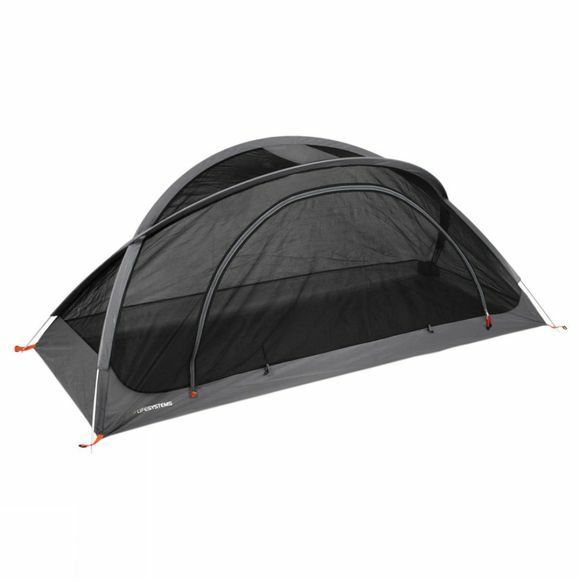 The Expeditions GeoNet Single Mosquito Net from Lifesystems is constructed from ultra-fine mesh netting that keeps out midges and sand flies as well as mosquitoes. The design of the GeoNet gives the user extra head room and has two lightweight collapsible aluminium poles, meaning support points are not required. 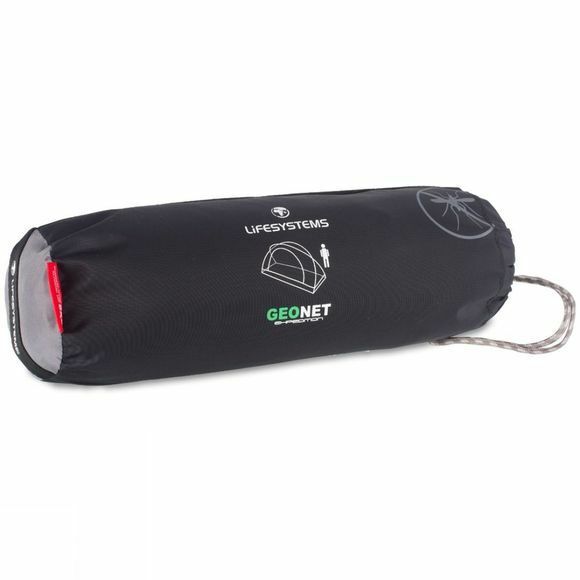 The net includes a built in waterproof ground sheet and zipped entry, and fits in to its own stuff sack.